Located in the geographic center of historic Bucks County, Carousel Village has been a shopping and family fun destination for nearly 40 years. 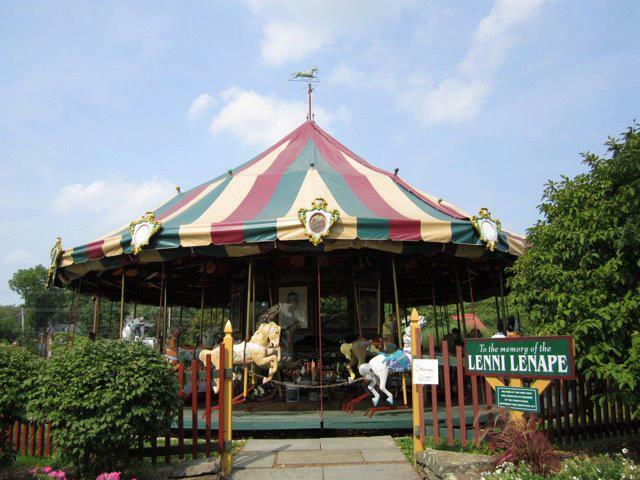 An authentic Herschell Spillman Carousel (circa 1890) serves as a centerpiece for a beautiful garden center, a wonderful Italian restaurant, a creamery serving up handmade, locally sourced ice cream, an organic market, and a variety of unique shops featuring furniture, jewelry, clothing, antiques, home furnishings and much more. There’s also an authentic half-size replica CP Huntington, steam engine train that runs through the 45-acre Indian Walk Christmas Tree Farm. Carousel Village is a “must-stop” for visitors and locals alike to experience good food, good shopping and good fun with a distinct Bucks County flavor. We are hoping to have the carousel up and running as soon as the weather breaks! The train will continue to run on weekends only, weather permitting, from 11-5. Be sure to check out Carousel Gardens for all of your spring planting needs!